Celebrating Startup Week as one of San Diego’s COOLEST Companies! Have you heard? It’s Startup Week here in San Diego, and we’ve got a lot going on! 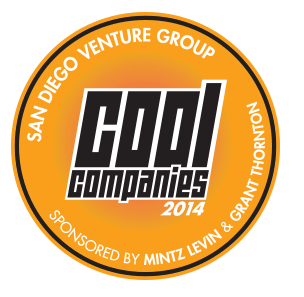 The team at Rock My World is psyched to be a part of San Diego Startup week , especially the San Diego Venture Group (SDVG)’s 2014 Cool Company List and the SDVG 2014 Venture Summit. We’re honored to have been included in the list and invited to exhibit at the summit this Thursday, June 19! We’ve always felt that RockMyRun had the power to bring something special to the world, and your overwhelmingly positive feedback fuels of our fire! We feel immense pride by all of your inspirational stories, and we’re honored that an organization like SDVG has recognized us as an important part of the San Diego entrepreneurial and venture community in San Diego! So RunRockers, thanks for all you do for us! If you’re in San Diego this week to participate in San Diego Startup Week, be on the look out for RockMyRun and as always, Rock On!